Home Enlivening Is Your Integrity Intact? Buddhism is a simple philosophy, live your life in accordance with dharma. In Buddhism, dharma means ‘cosmic law and order’, in other words, be a good person and know your integrity inside and out. 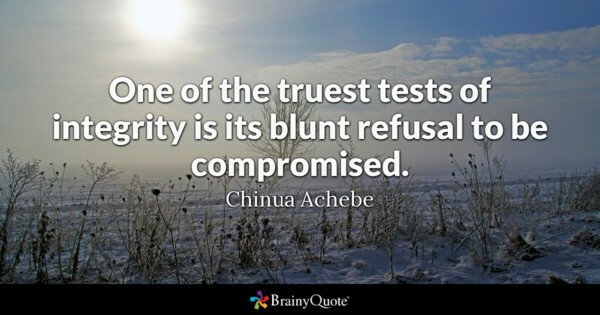 Trustworthiness is a quality of fairness that we all aspire to, having integrity means doing the right thing in a reliable way and with honesty. We have this belief that we are taught to be good and honest people, but a large degree of our behaviour and patterns come from sources that are far from moral. It is because of these internal beliefs that we have absorbed from outer sources, that we end up suffering from decisions we make that don’t serve us well. To live is to learn, bottom line, end of story, we are here to learn and learning does, in fact, come from hard lessons we put our Self through, we can not blame anyone else for our misery. This statement is true simply because we have a valuable tool inside of us to assist us in our decision making, so we don’t wander astray. This impeccable tool is our intuition, our superpower and it is available at all times to help us stay on course with our dharma (integrity). Our intuitive nature is a natural part of who we are, it is the embodiment of our Soul, the goodness of our Self and superb quality of our Spirit. Perfection, however, is not a state humans acquire, not realistically but a lot of us do work very hard to enhance and improve our integrity for the vital betterment of society. Buddha nature is absolute, as humans, we are not unlimited to raising our consciousness, we are not subject to any limitations, contrary to our Ego beliefs, therefore it is important to understand that we have an unrestricted power within our Selves to reach our highest potential. If you are diminishing your Self in any way, and you are able to ‘see’ this behaviour in your actions towards your Self, please stop. You are a divine person trying very hard to make your way spiritually through a maze of human living, not an easy task indeed. Never give up on your quest to find the Buddha nature that resides in the Soul of who you are, you are deserving of a good life.